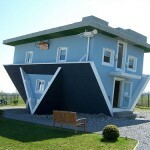 Is Flipping Houses for You? Learn More and Decide for Yourself! TV is great. Commercials make us think we can almost do the impossible if we buy a certain product. The do-it-yourself shows make every project look easy to complete. House flipping, for which there is not one, but two different cable TV shows, is one of those projects. Although it’s an old investment technique, thanks to television, the concept of house flipping is now mainstream. Entire cottage industries are blossoming around it. Late night infomercial kings tout their educational books, seminars and programs that promise to teach the amateur real estate investor, with very little money, how to become a house flipping sensation and live the highlife. It’s hard not to buy into the come-on. Flipping houses looks so easy, doesn’t it? While it’s true that real estate investing can be lucrative, there are a few things you need to know in order to be successful. So, before you head out the door to find that old shabby place that’s sure to make you ridiculously rich, set down the checkbook and let’s take a look at flipping, from start to finish. If you buy a house with the sole intention of quickly reselling it for a profit, you’re a flipper. The operative word in the definition is “quickly,” while the operative concept is the tried-and-true “buy low, sell high.” Buying a house at or below market value with the hopes of selling it for a profit some years down the road is wise, but it’s not flipping. House flippers may or may not renovate the home before flipping it. The typical investor, though, chooses an investment property located in a good neighborhood that needs a certain amount of cosmetic updating, renovates it and then puts it back on the market. Some real estate investors specialize in a certain niche, such as foreclosures or auction properties. Others research neighborhoods until they find one that’s up-and-coming. Then, there are those who look for keywords in real estate ads, such as “fixer,” “seller desperate,” “must sell,” and “handyman’s special.” Wherever there may be a deal, you’ll find an investor looking for properties to flip. Money – Most investors pay cash for the house. Even if you find a smokin’ hot deal on a loan, you’ll need the down payment cash and then the funds to rehab the house. Know-how – Do you know what type of house constitutes a good deal? Are you familiar with construction costs? Do you know which remodeling jobs will give you the most bang for your buck? Before purchasing a house, successful flippers factor the rehab cost into the cost of the house to determine if a particular house is flip-worthy. Flippers also need to accumulate expertise before they can become moderately successful at it. Real estate industry experts and veteran flippers agree – flipping is difficult and potentially disastrous to your finances. You’d better make sure you’re familiar with flipping before you make a career out of it! Time – If you have a full-time job, you’ll have little time left for real estate investing and the ensuing rehab work. Looking for properties – especially those that are available for at least 25 percent below market value – takes a big chunk of time. Then there’s the fact that the rehab process, dealing with inspections, and marketing the finished house may take months. It’s hands-on work, too, so you’ll need big blocks of free time to deal with flipping. Flipping flops are the stuff of nightmares, especially for the amateur investor. There’s always a chance that you won’t sell the house for what you thought you would. There’s also the very real possibility that you may not break even on a flip. Especially with older houses, there may be problems you have no way of anticipating. Because of this, many successful flippers adhere to the “quantity over quality” method: To ensure that they make money, they do a lot of deals. The house flippers on your favorite DIY channel make it look so easy and so glamorous. Houses go from disaster to dazzling in 30 minutes. If you think you might like to try house flipping, back away from the TV, and educate yourself. There are books, websites and investment clubs available in almost all cities. Learn from the pros – about their successes as well as their failures — so that your first flip doesn’t cause you to flip out – emotionally or financially. Shannon O’Brien is a real estate expert and staff writer for RealEstate.com. She has over a decade of residential listing and sales experience. Her hands-on experience with home buyers and sellers gives her a unique perspective that many professional real estate writers lack.